Select Option 10 Fr. 12 Fr. 14 Fr. 16 Fr. 18 Fr. An economical, 100% silicone catheter provides comfortable, easy insertion without the allergen, toxins, or disposal concerns associated with latex and PVC catheters. Smooth, lightweight silicone is positioned between the firmer PVC and the very soft red rubber latex. Silicone is versatile and compatible - free of the allergens associated with Latex and free of toxins associated with PVC. Hot and cold also do not affect silicone, so the Personal catheter retains its shape. Offset eyes help the bladder drain quickly and easily. Seamless, tapered tip helps the catheter pass smoothly across the sensitive uretheral tissue to help prevent damage. 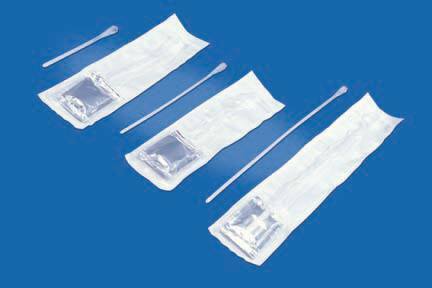 Hydrophilic design makes insertion delicate to uretheral tissue while its packaging makes it easy to prep and maintain sterility. Size: 16 in. Length, comes in 10 - 18 Fr. Sold individually - purchase any quantity you want! Catheter Size 10 Fr.,12 Fr.,14 Fr.,16 Fr.,18 Fr. Simply add $50 of items to your basket and select "Free Ground Shipping" during checkout. We understand the concerns of not having your medical supplies when you need them. Most orders for in-stock items ship same day when ordered before 2 p.m. CST, Monday - Friday. Our conveniently central location in St. Louis, MO allows us to ship to any contiguous U.S. address quickly and efficiently. Valid with orders $50.00 or more. Items are shipped via Standard ground. The $50.00 minimum purchase does not include applicable tax. Nextra Health reserves the right to end or change this Free Shipping Offer. All orders delivered to the St. Louis metropolitan area ship free. Want it delivered right to your door for free? Order online using our website www.nextrahealth.com and get the same great products online without leaving home. Need it today? No problem! Call us at 314-821-7355. If we get your order by 2pm and have the product in stock, we will have it ready for you to pick up that same day. Please give us 2 hours' notice to get your order ready. Shipping is included for all products covered and billed to Medicare if shipping to a domestic U.S. home address via Standard Ground (Excludes Hawaii, Alaska, and outlying territories). Join our Automatic Reorder subscription program and save 10% every month on supplies! Shop on Nextrahealth.com and find your products as you normally would shop. On any applicable product page, you can choose a delivery schedule at 1 month, 2 months, or 3 month frequency. Complete your checkout and we'll save your shipping and payment information to your account. Save money as well as time - your active reorder products will always get 10% off our normal sale price. No Contracts, Fees or Commitments! Review, Edit, or Cancel your Reorders from your Account page at any time. Due to the hygienic nature of this product and the manufacturer's strict no return policy, we cannot accept returns or issue a credit for any Erecaid product once it has been delivered to you. Due to low cost and weight limitations, orders containing this item cannot ship for free. If your order total contains over $50 in additional products, we suggest placing a separate order so you will be able to choose free shipping on the rest of your purchase. Product HCPCS codes are provided for educational purposes. This data comes to us through manufacturer catalogs and the Centers for Medicare and Medicaide Services here. While we take great care to provide accurate information for all of our products, we cannot guarantee that all of the information is 100% accurate or complete all of the time. As such, we cannot be held responsible for any billing-related decisions between you and your healthcare provider. If you have any questions, or you found an error with any of our descriptions or codes, please contact us and we'll get it fixed as quickly as possible. © 1978-2019 Nextra Health, Inc. All rights reserved. Use Coupon Code NEWSITE in your basket or during checkout to get an instant 10% off any order of $100 or more. This offer is good through 5/31/18. Coupon codes cannot be combined with insurance or applied retroactively to an order previously placed.